Last weekend, Tony and I had the pleasure of attending a couple of sessions at the open book festival. It really is an excellent annual event here in Cape Town. This year, The British Council supported a performance poet- Francesca Beard. We spent a wonderful hour listening to her involve her audience. She interspersed her poetry with audience questionnaires. One was about how we would choose to die. Given the 7 options, I found it difficult to choose between being eaten by the lion (I was tempted by the promised rush of adrenaline before the incident) or dying in outer space hoping to be found by George Clooney. Her poetry was diverse. The poem that I felt made the most impression was The poem that was really a list. It is quite a tough poem so don't open the link if you are feeling fragile. Thanks to the Book Lounge for organizing such a wonderful event. It's wonderful that it boosts networking through the book illustrator and 'poems to go' sessions. 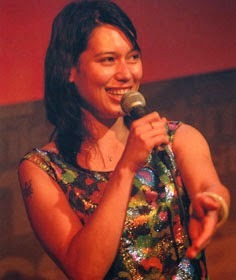 Another poet came to my attention this week and that was the "Emergency Poet", Deborah Alma. 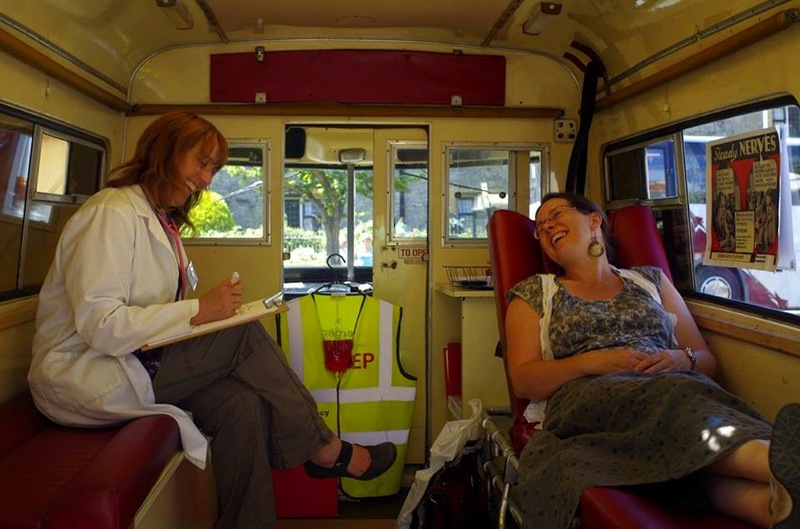 She drives around the UK in an ambulance administering poemcetamols from the Cold Comfort Pharmacy. Have you ever felt the need for an emergency prescription of poetry?